Is your asthma well controlled? 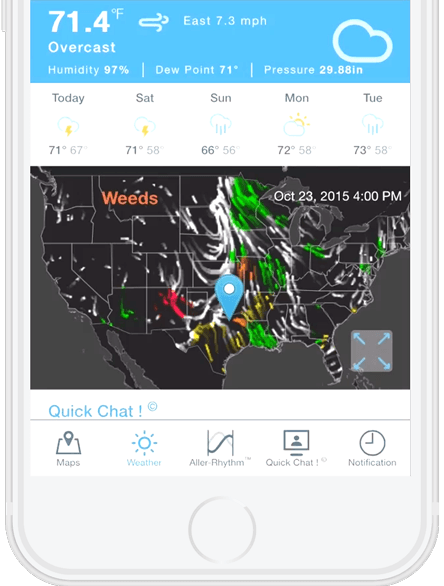 There are many apps for weather and many apps for health, but KagenAir™ is the first and only app in the world that shows you how the weather and your environment affect your health. Every hour of every day, you will see animated wind maps that reveal personal risks for experiencing your symptoms. Answer a few questions each day and KagenAir™ will reveal the weather and environmental factors that may be causing your allergy or asthma symptoms. Over time, you’ll discover which weather and environmental factors can trigger your symptoms, helping you take charge of your health. 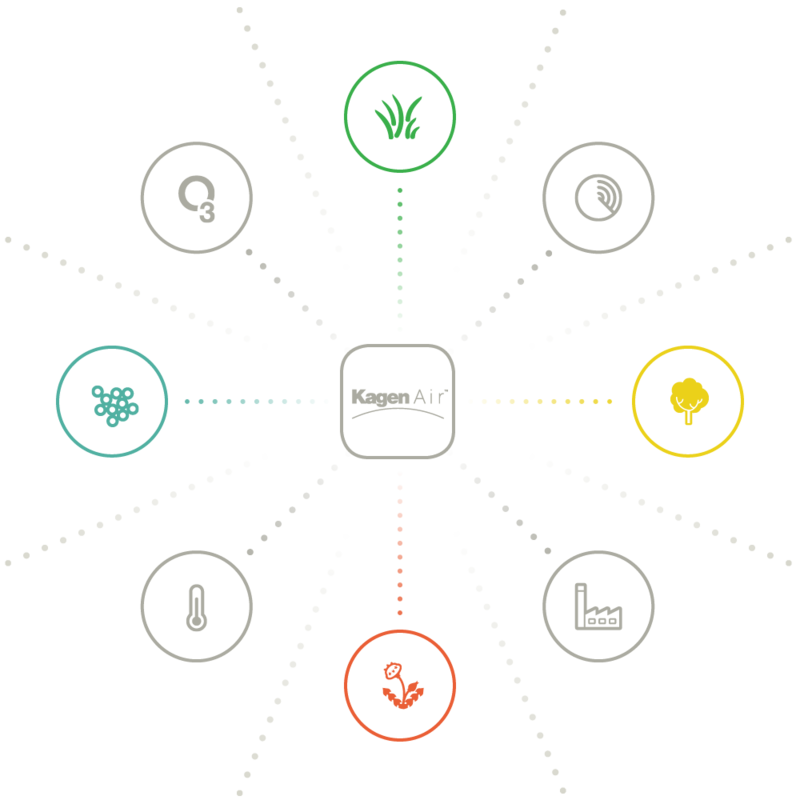 KagenAir™ analyzes your symptom scores against weather factors such as humidity, wind speed and direction, pollens from trees, grasses and weeds, mold spores and pollution. As you continue taking easy symptom quizzes, your unique Aller-Rhythm® display will reveal your personal forecast for experiencing severe symptoms. By seeing how the weather and your environment affect your health, you can be in control. Connect your symptoms to your personal triggers. KagenAir™ helps you discover your personal triggers, so you can avoid them and take medications before you feel "under the weather". That's why we created a convenient and secure TeleMedicine tool to connect you with nearby doctors, nurses and pharmacists interested in helping you. We make it easy to find your nearest pharmacy and you may receive valuable coupons to help keep you well inside KagenAir™. 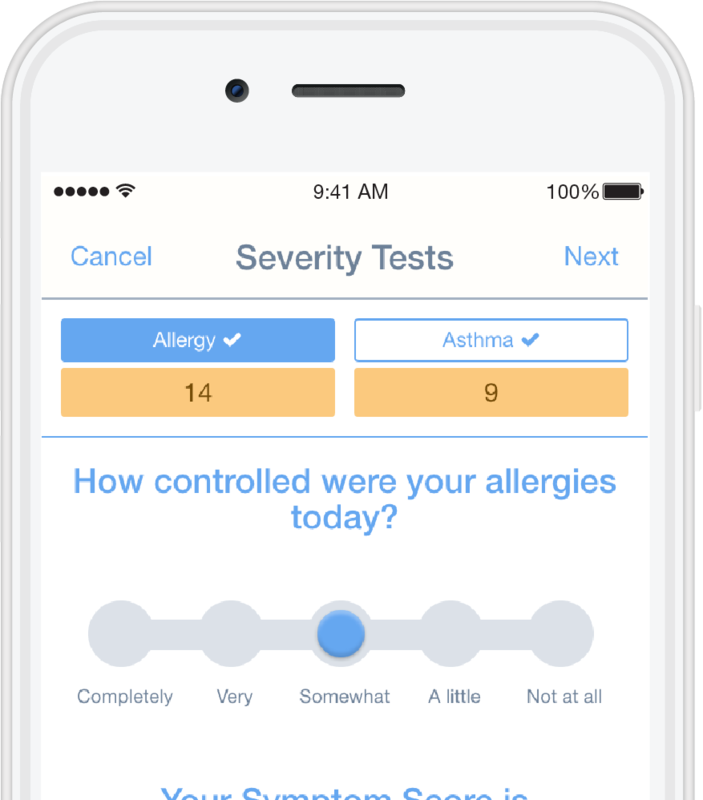 "KagenAir is an essential tool for mothers of children with asthma … and anyone with allergies. It’s exactly what the doctor ordered for moms who want to know why their family is sick, and where to go for help." The team at KagenAir™ has been studying relationships between human health and the environment for over 30 years, and is proud to be a certified member of the Weather-Ready Nation™ initiative, designed to reveal relationships between the weather and your health. We are also proud Members of the American College of Allergy, Asthma and Immunology (ACAAI); the American Academy of Allergy, Asthma and Immunology (AAAAI); and the American Meteorological Society (AMS). You can be in control. Discover how the weather and your environment affect your heath. © 2013–2019 KagenAir, LLC | All Rights Reserved. Patents Pending.